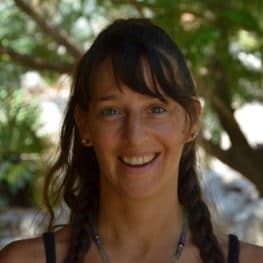 The PachaMama Detox Program, Full Body Cleanse is a detox retreat designed to cleanse the buildup of toxins, mucus, gas and parasites in the digestive system from years of stressful living, toxic environments and consuming unhealthy foods. The accumulation of such toxins is the cause for a wide array of adverse effects on the physical as well as the emotional body. Detoxifying the blood, cleaning the colon and flushing the liver allows the body to reset, improving one’s overall health. This powerful detox also sets off a metaphysical reaction, clearing out emotional and mental blockages and making way for more energy, vitality, renewed appreciation and deep connection to the body. 10 private enema rooms, each containing an easy to use, self-operated irrigation system used for the hydro-colonics and a hot shower. A spacious, comfortable lounge to enjoy the juices, hang out and read health-related books and magazines. A nearby hall (“Tara Garden”) for group activities such as yoga, dance, meditations, informative talks and sharing circles. Tara Garden is equipped with air-conditioning, mattresses and pillows and is open for the group participants to rest and relax. It is highly recommended to arrive in PachaMama at least two days before the Cleanse Group starts to get oriented in the village, allow the body to get used to a different climate and a new environment, and lighten the diet with the vegetarian food served in the restaurant. It is also recommended to stay for at least a couple of days after the group to support the body’s acclimating with the specific post-cleanse meals served in the restaurant. The group starts with an opening circle at 4 pm on the first day. On the day the group starts, participants are asked to eat light and skip dinner. The last day is a half-day and usually ends by 1 pm – in time for lunch. Detailed instructions on how to prepare for the detox program will be sent 2 weeks prior to the start date for all confirmed registrations. * It is advisable to bring good probiotic capsules to further support the body’s natural flora and digestion after the cleanse. 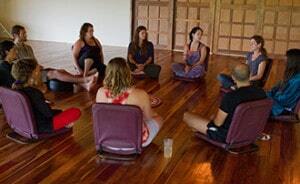 PachaMama is not a facility for the recovery or rehabilitation from substance abuse or dependence. 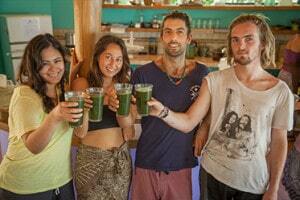 Learn more about the PachaMama Body Cleanse & Detox retreat programs. The group on Mar 28 – Apr 2, 2018 is part of the Transformation Cycle but open for everyone.